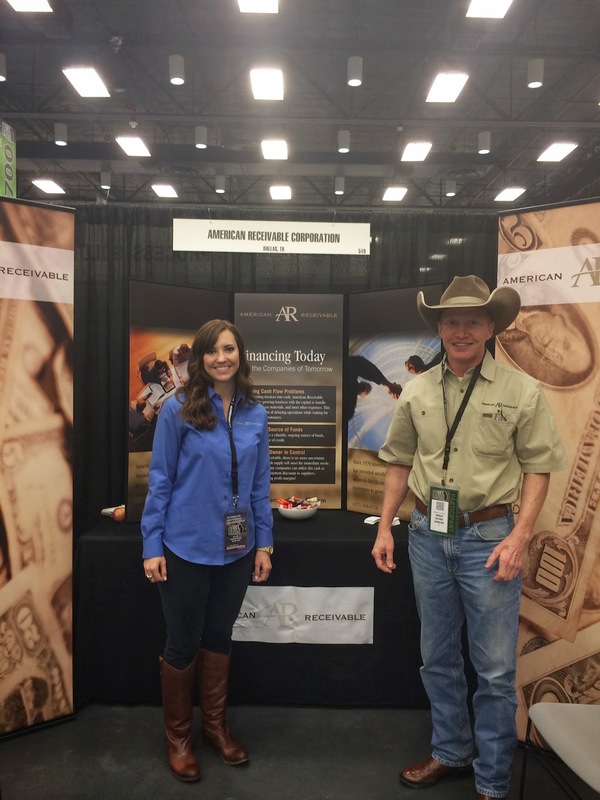 Tiffany Eitel, Vice President of Business Development and Brad Gurney, Senior Vice President of American Receivable Corporation represented American Receivable Corporation for the second year as a sponsor of the 2014 East Texas Oilfield Expo in Longview, Texas March 5th and 6th. The 2014 East Texas Oilfield Expo is an industry-exclusive oil and gas trade show where exhibitors may display the latest technology, equipment and services that will help oilfield professionals from every sector of the industry operate more efficiently and cost-effectively. The show creates a professional environment conducive to networking, business development and deal-making. Attendees are limited to only those businesses or individuals directly involved in the oil, gas and petrochemical industries.